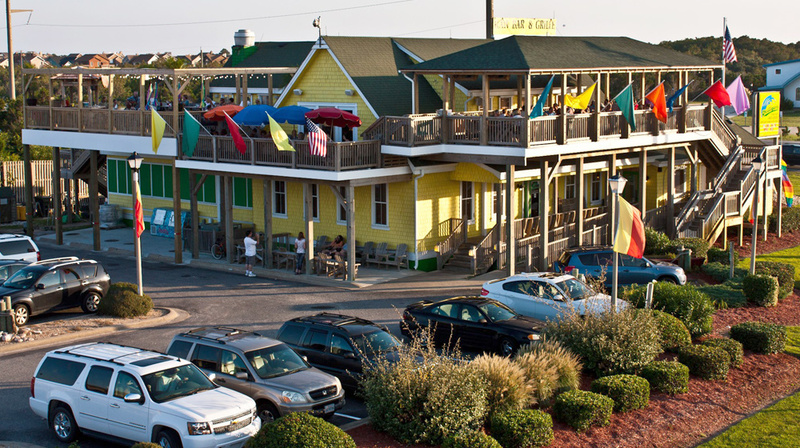 Located in Nags Head across from Jockey’s Ridge State Park. The menu features Southern coastal cuisine made with fresh local ingredients. Feast on seafood, burgers & more and hang out in a laid-back setting with multiple bars and beautiful ocean views from all of the decks.